The Occupy movement is answering their call. Yesterday, hundreds marched on the Egyptian consulate in New York City. 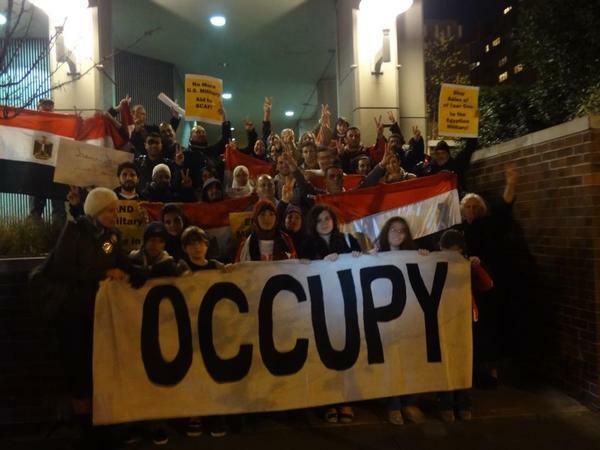 In NYC today (Saturday, Nov 26), an Egyptian solidarity rally will begin at 1 PM at the Egypt Mission (East 44th St & 2nd Ave), with a march at 4PM.